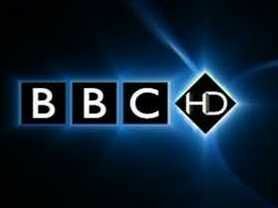 Despite complaints from viewers, the BBC has defended the broadcast quality of the BBC HD channel. The corporation has revealed that viewers have been complaining about the HD service since a change in the way the pictures are encoded took place in August. Writing on the BBC's Internet blog, head of BBC HD Danielle Nagler, says that despite investigation into the problems, no technical fault can be found, adding that "the majority of viewers watching in normal situations in their living rooms are happy with the picture quality on the channel has shown that as a group, they are." But many comments on the blog disagree with Nagler's views, talking of "fuzzy and grainy images" and one even saying "even my wife can see a reduction in picture quality and she's got cataracts." Defending the service, Nagler said "our BBC HD service is optimised to deliver to typical viewing set ups - it is not designed to be perfect at very close quarters, or on a 90-inch projection screen for example. "There are programmes which some feel look disappointing, and others which are generally felt to look great. There have been no changes to the bitrate (of 9.7Mbps) over this period." However, the BBC changed the encoders to process its HD images in August from 16Mbps encoding and that's where the issue lies. "We did extensive testing on the new encoders which showed that they could produce pictures at the same or even better quality than the old encoders at the higher bitrate," a BBC HD spokesperson told BBC News. However, Nagler does admit there have been some issues with this: "As we have indicated, there are some concerns that we have about picture handling in very specific circumstances by the new encoders. These are being addressed and will be fixed through software releases over the coming weeks." Nagler does say she does want to "lay some myths to rest" over this issue, saying "these are actions that we would have taken in any case…the reduction in bitrate is not specifically related to Freeview HD - and to us it is absolutely critical that HD in general, and the BBC's HD service in particular, is available to everyone in the UK who wishes to watch it, whether that is through a subscription or a non-subscription route, or indeed on demand through BBC iPlayer. Nagler also goes on to say that just like SD, HD programming does not all have a consistent "look". "HD from the BBC does deliver in a range of styles - and that is not always the bright, crisp look which for some is synonymous with HD." "There are a number of programmes that we make where that kind of appearance would feel very odd indeed. Different types of cameras used in different ways, with different techniques in post production, will deliver different outcomes. "The challenge for those of us overseeing that progression is to take a view on the outcome of those experiments, to embrace those that deliver advances and to kill off those that don't." Nagler also denied the corporation would launch BBC One HD on Freeview early in 2010.